The European Directive on the assessment and management of flood risk reinforces a risk based approach as being fundamental to good decision making. 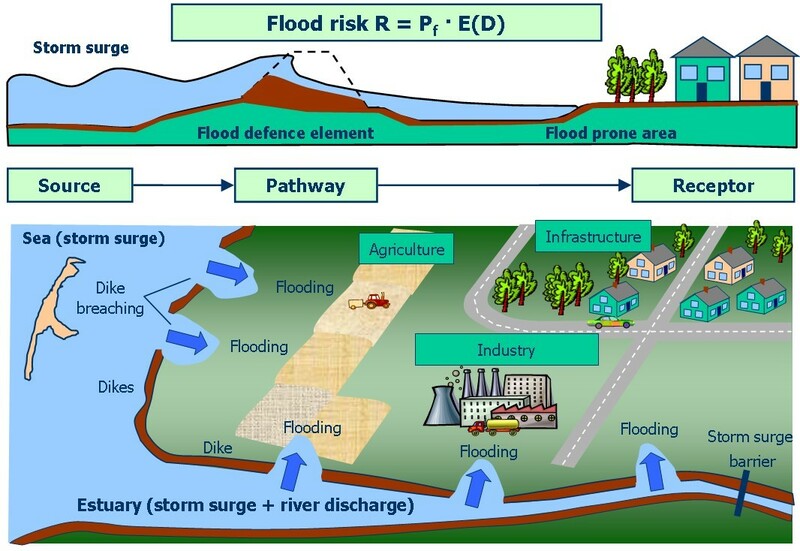 The concept of risk however is only one component of good flood management which demands integration across sectorial interests as well as spatial and temporal domains. 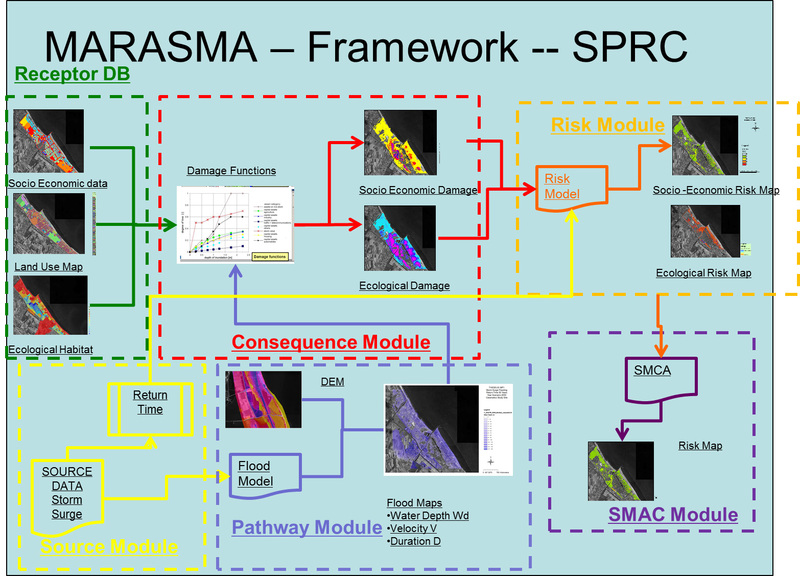 The primary objective of MARASMA_DSS is to provide an integrated Web_GIS DSS for mapping coastal flooding and planning mitigation measures which addresses social, economic and environmental aspects in a multicriteria scheme. The Web_tool support an assessment of the change in risk due to a range of scenarios (climate change and subsidence) and selection of the most appropriate intervention measures from an available portfolio of engineering, ecological and social measures. 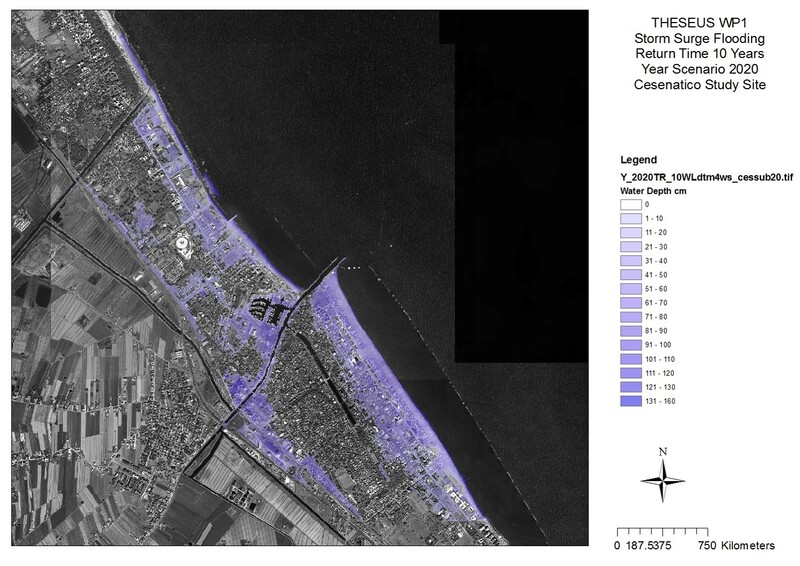 The flexibility and the short running time of the evaluation performed by the Web-GIS DSS allow to evaluate coastal flood risk under multiple scenario such as land use change, climate change and subsidence driven. The peculiarity of the developed system is the possibility to perform quickly simplified but still enough accurate coastal risk assessment evaluation directly from the web without installing locally (desktop) complex software, numerical models etc., and without requiring high scientific knowledge in the field of hydrodynamic modeling and risk assessment. 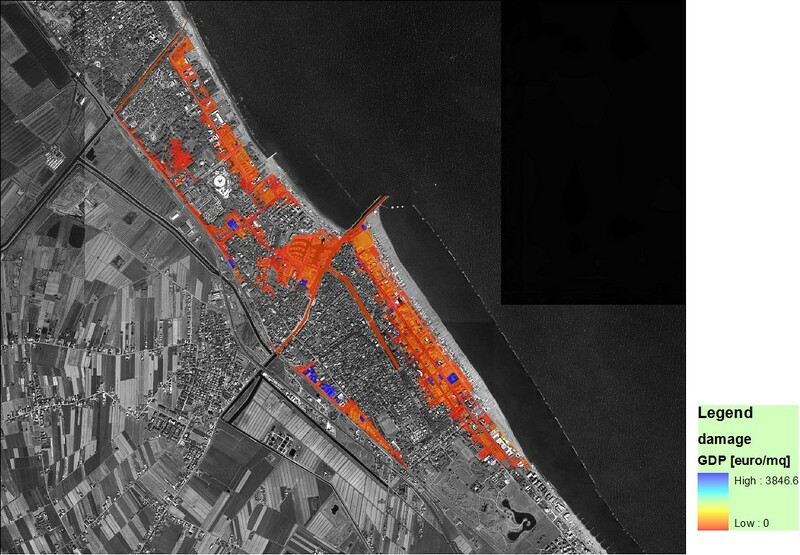 The primary end-users are intermediate level coastal managers who need to make sound evidence-based decisions regarding spatial planning and coastal protection. How will flood risk change if I do nothing? Should I use soft or hard approaches? Can enhancing habitats benefit human safety? Can the risk_sharing embodied in insurance benefit community resilience? Where and which mitigation option the coastal manager can implement in order to maximize the mitigation of coastal risk evaluated in a multicriteria paradigm (environmental, economical and societal)? Interacts with the database, transcribing spatial information to model_specific inputs. The database includes all type of information organized in several layers: geographical, climatic, environmental, socioeconomic, etc. 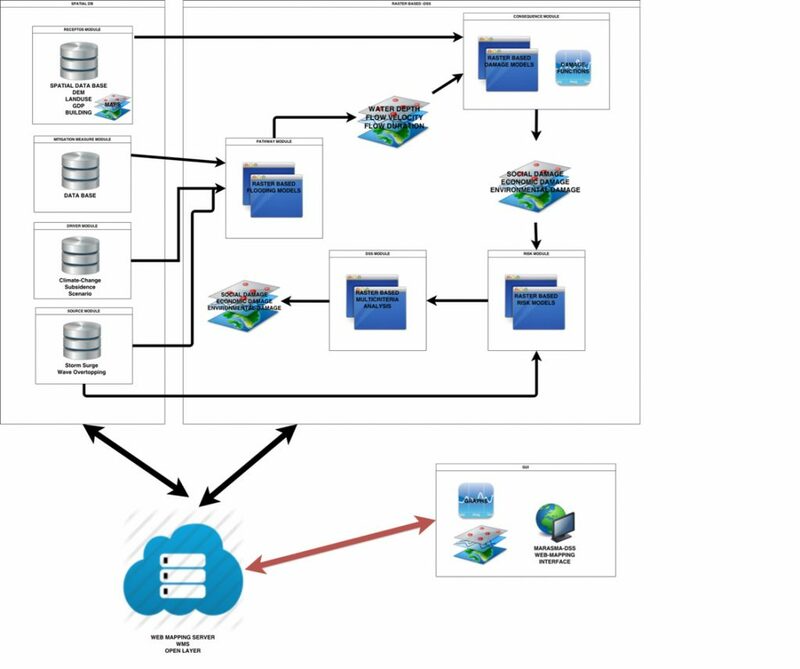 It interacts with the user-interface, extracting information needed for each particular mode, and includes pre-processing tools, that provide linkage utilities between the user interface and the database, on how to translate the physical space to the language of each particular model. It is important that the database allows easy or even automatic import/export operations with official databases. The creation of scenarios, including all types of variables and internal evolution rules. Sensitivity analysis of some results, with respect to specific drivers. Integration of results from the different modules. Find out the MARASMA demo now!